Everything came together in Boston for pole vaulter Olivia McDaniel. And she's not done yet. 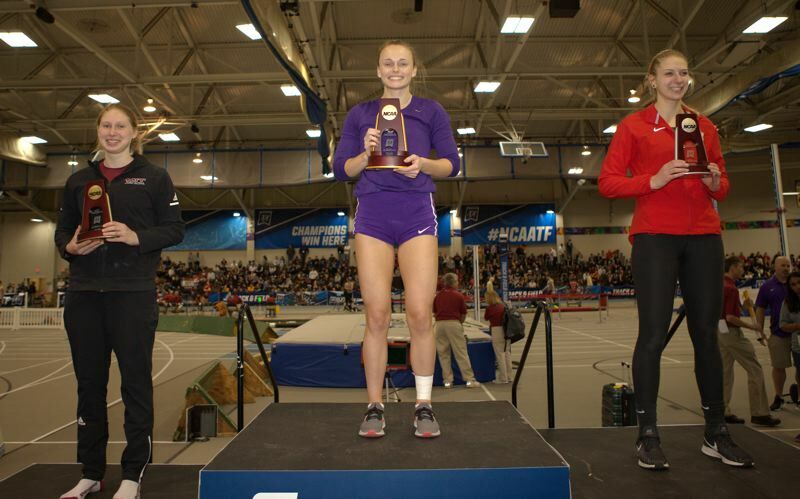 McDaniel, a Scappoose High graduate, captured a national title for Linfield College, winning the NCAA Division III indoor championship on March 8. A senior for the Wildcats — who lives in Portland and works full-time as a labor and delivery nurse at Legacy Emanuel's Randall Children's Hospital in North Portland — McDaniel cleared a personal-best 12 feet, 11 1/2 inches. She beat the runner-up, Heidi Nassos of Washington University in St. Louis, Missouri, on fewer misses. It was McDaniel's third trip to nationals — and a very different experience from her previous two competitions. "The other two times, I had a little bit of impostor syndrome," she says. "I didn't quite feel like I belonged there. I was just so excited to make it to the meet. I never had a goal of winning." This time, she was seeded third, "but I knew I had good chance of winning, so I came into the meet with a totally different mind-set," she says. "I walked in with the expectation of jumping the best I could. I knew I was well-trained. I was prepared." Her strategy of passing on some early heights paid off, too, and technically she was in a groove. "I felt like I was polished and jumped the way I should have, and the results followed," she says. "It was awesome." 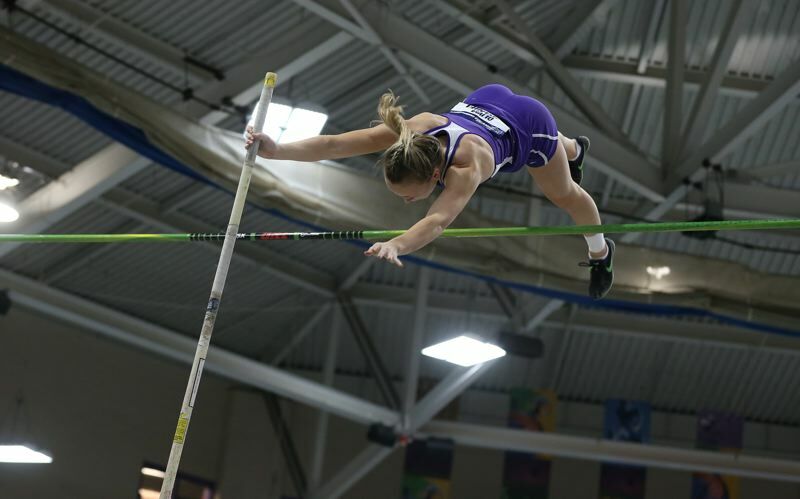 The pole vault competition came one day after her 22nd birthday. "I postponed my birthday celebration," she says. The icing on the cake was having her parents and boyfriend in Boston for the victory. "We all went out and celebrated," she says. Linfield track and field coach Travis Olson says he and Wildcats pole vault coach Dayson Tiogangco weren't surprised to see McDaniel break through in Boston. "The previous day, in warmups, she was jumping higher than (12-11). So we knew if she did what she thought she could do, she'd have a great shot to win," Olson says. It was the highlight of an athletic career that, on paper, seemed unlikely when McDaniel was vaulting not nearly as high off the ground at Scappoose. "I never saw myself as being a collegiate pole vaulter, much less a national champion," she says. With the Indians, she cleared only 9-6 in her one year of vaulting, as a senior. "I really wasn't very good," she says. But Linfield, and Tiogangco in particular, saw something in the former youth gymnast. "He was at my state meet and recruited me," McDaniel recalls. "I was interested right away, but I was going to Linfield just for the nursing program, and I didn't decide to go out for track till I got there." Olson says McDaniel now is "the example I give to all my recruits," showing what is possible. "She's the perfect example of how to develop as an athlete and how we want to develop our athletes," he says. "She's done an outstanding job committing not only to the academic side but also to improve in the pole vault. "She was blessed with some speed and has that gymnastics background, and those two things fit very well to the vault, and she was very new to the event coming out of high school, so we felt she had a huge upside. "Once she started figuring things out technically, she really started to improve. She's very aware of what her body is doing once she takes off from the ground. "And she's a coach's dream. She really buys into what we're doing, is really committed, is a good teammate. "It's just easy working with her. She is able to fix stuff if we give her feedback with technical things. "It's been pretty fun to watch her." Linfield fans will get to see more of her, too. She plans to vault in a handful of meets this spring, with an eye on winning a third Northwest Conference outdoor title and going to the NCAA D-III outdoor championships. "I have three goals for this outdoor season: Be conference champion, be national champion and break the school record," she says. The latter goal might be the biggest ask. The school record is 13-11 1/4, set in 2012 by Catherine Street, the national indoor and outdoor champion that year. Street, from Wilsonville, also studied in Linfield's nursing program. "In practice indoors, I was jumping 13 feet, 13-6. I know I have a bigger jump in me for outdoor," McDaniel says. "I'm working a lot right now on just getting faster and getting on bigger poles and fine-tuning my technique. I think I have everything it takes and with my coaches." Her first outdoor meet probably will be on April 6, when Linfield plays host to the annual Jenn Boyman Memorial Invitational. The Northwest Conference championships are April 26-27 at Tacoma, Washington. The national meet is May 23-25 in La Crosse, Wisconsin. McDaniel trains in Oregon City with the Willamette Striders and under the direction of renowned pole vault coach Rick Baggett. That's partly, at least, because she graduated early from Linfield, in December, and has to transition from workouts to her long day and night shifts, typically 13 hours, at the children's hospital. "My schedule is pretty crazy," says McDaniel, whose grade-point average at Linfield was close to 4.0. "I squeeze in my workouts when I can." At best, she is able to drive to McMinnville and train at Linfield and with her fellow Wildcats once or twice a week. As crazy as things get, McDaniel is thinking of continuing to vault after this spring. "That is a big question, but I've definitely been thinking about that idea," she says. "A lot of it will depend on how well I jump, and if I think I should be able to make a little career out of it. "With a track career, there is a more of a short timeline, and I want to make the most of it."